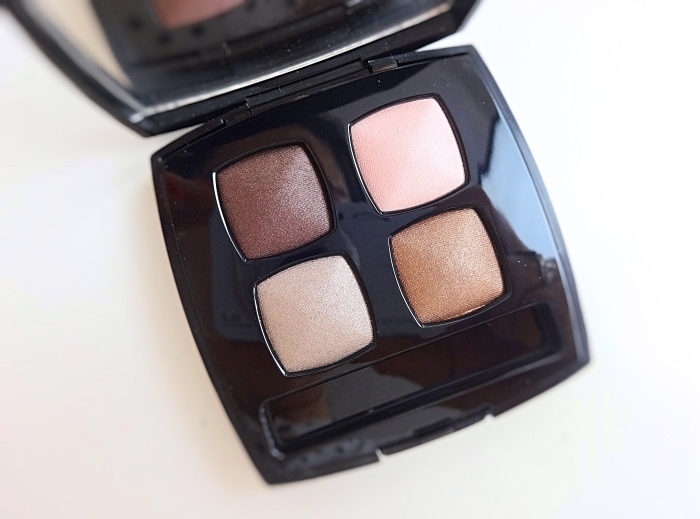 I remember when Chanel Mystic Eyes Quadra was first introduced. Neutral eyeshadow lovers were buzzing on the makeup board and it was even considered as a must have. I didn't pay much attention to it probably because at that time I was more into purple and blue eyeshadows. It was last year when I suddenly wanted this classic quad like a hole in my head. 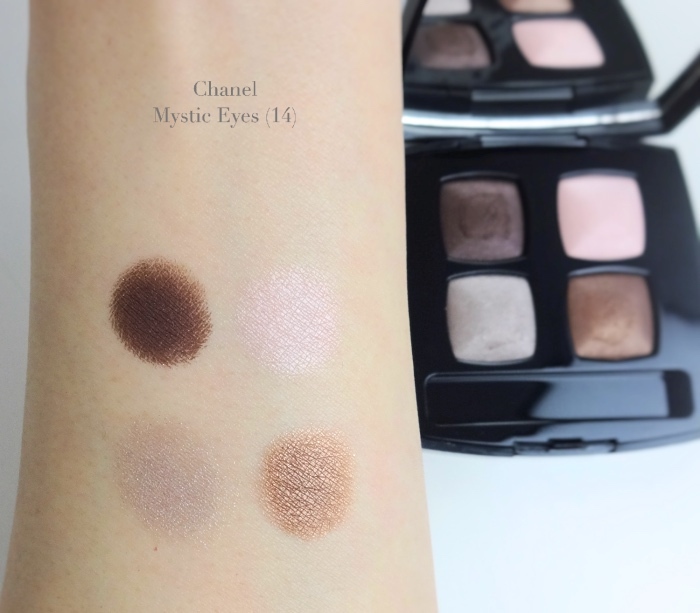 Surprisingly, Chanel still has Mystic Eyes available on the website. Maybe it was repromoted at some point. Chanel U.S. website had retired non-baked Quadras quite some time ago, and what is available now seems the half-baked formula. I hesitated a bit since I actually like their baked eyeshadows a lot, but ended up getting the old version off eBay. The color composition is quite stunning in my view. 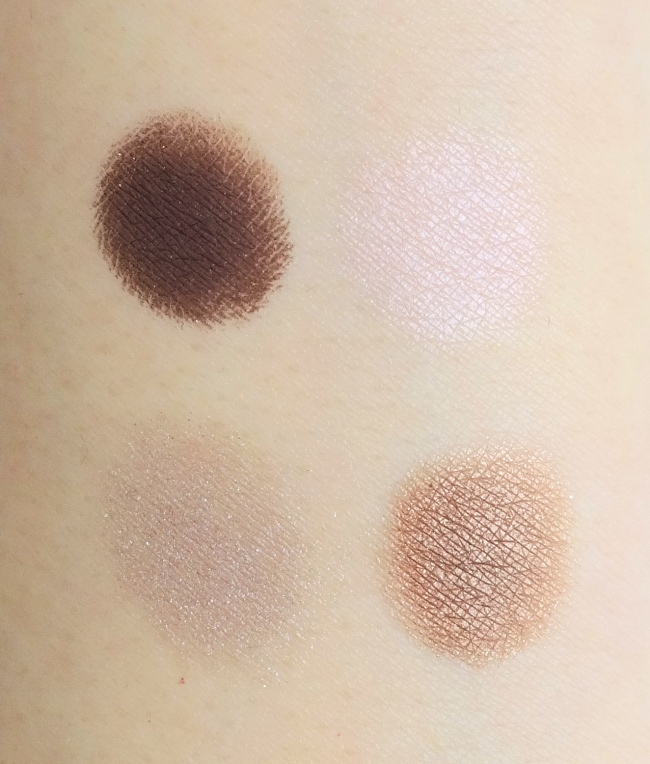 Mystic Eyes is essentially a cool toned palette but has this medium golden brown that gleams so prettily (I think this color is what makes the quad interesting and unique). 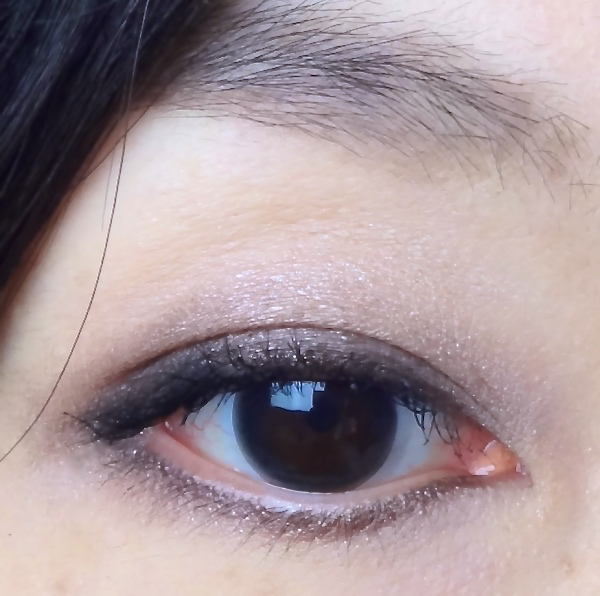 The dark brown is dark enough to define and can be used as a liner. The two lighter shades are soft yet complex. All colors have this elegant shimmer that looks beautiful on the skin. 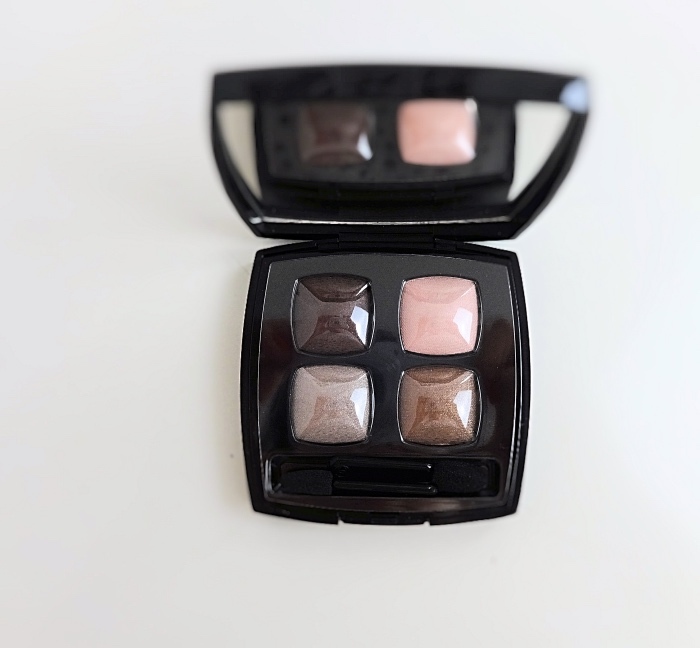 If you like soft buttery textured eyeshadows, you will love Mystic Eyes. The colors blend seamlessly and maybe a little too well to my liking. 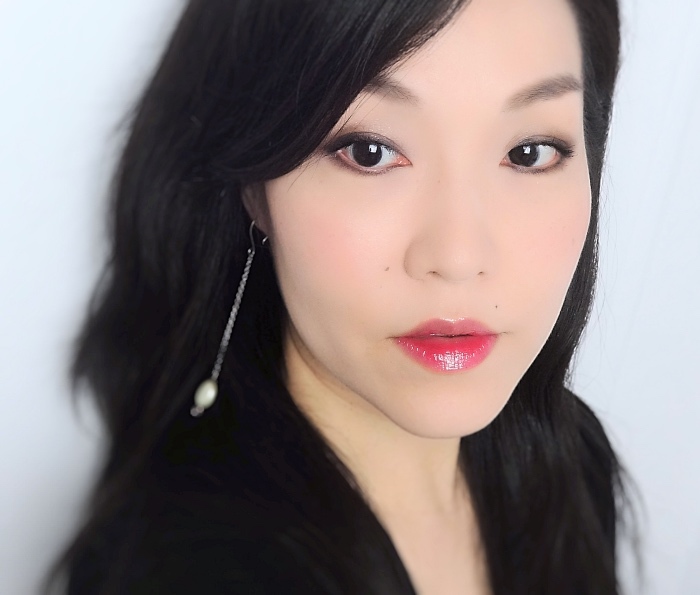 Over a nice eyeshadow primer, Mystic Eyes stays on well over 6 hours without losing color integrity. 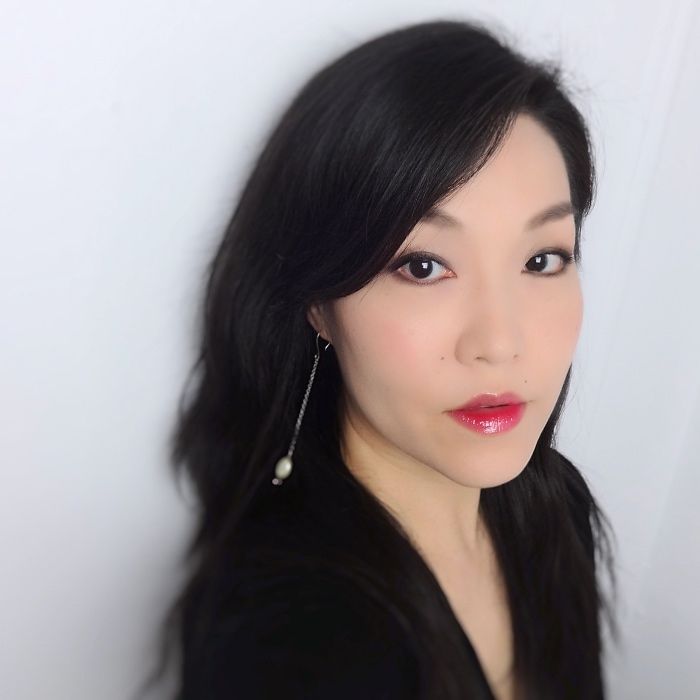 Here is a soft smoky eye look that I usually end up with Mystic Eyes. I wish I could tell you more about the placement, but even now when I look at this big picture, I can't. All I can tell you is that Mystic Eyes blends so well on the skin that whatever you do it is very hard to mess up. Mystic Eyes is probably the best neutral eyeshadow palette that I own in terms of color composition and blendability. I love it so much and actually think about getting the baked version as well. I trust that you guys will talk me out of it. 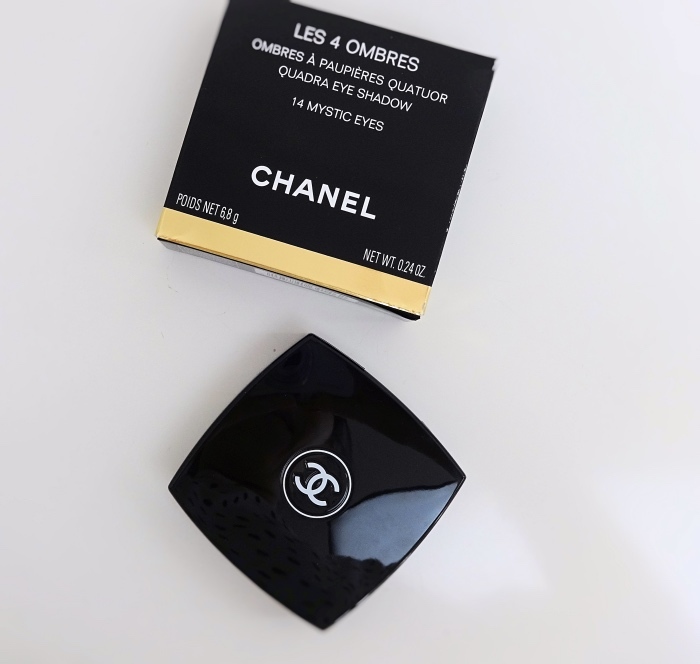 You always pick the most interesting picks from CHANEL and other luxury brands! I think I'd like to pick this one up at some point as well! The colors in this quad all look pretty wearable on their own but they are quite stunning worn in combination with one another. Just proves you can't go wrong with the classics :) You must have such an incredible collection of eyeshadows Lena! They're so rich and beautiful. I love, love the subtle sparkle! Ah, this is a quad that I'd enjoy too! I've been purchasing eye palettes on impulse lately, and I've put a conscious ban on myself. No more buying makeup!!! I've been thinking of selling some less loved makeup too. But blog sales give me headache. LOL!